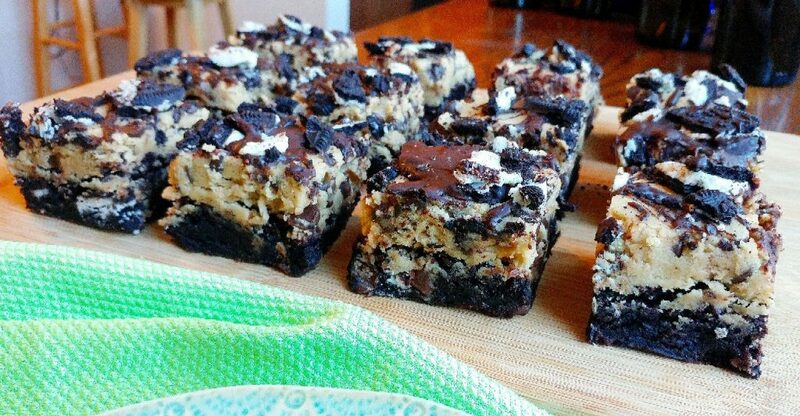 Next: Ooey Gooey Butterfinger Rice Krispie Treats! Previous: Dark Chocolate Red Velvet Sandwich Cookies Recipe! Vegan! Do you love brownies? Do you love cookie dough? Do you love chocolate? Triple yes?! Then oh my, do I have the perfect dessert for you. 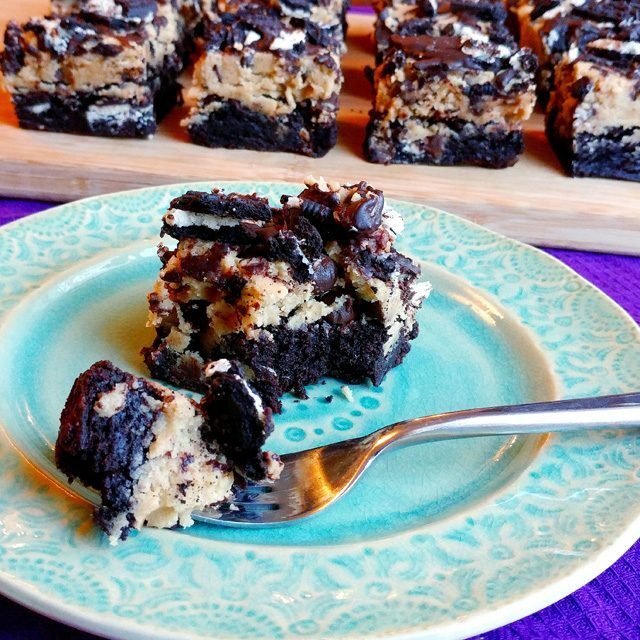 Brownie layer, cookie dough layer, chocolate oreo topping! These big, beautiful bars have the most satisfying layers. Oh My Gosh. GUYS!! These will fulfill any type of chocolaty-dessert craving you have. The brownies are perfectly moist and fudgy. The cookie dough is so..DOUGHY omg cookie dough! 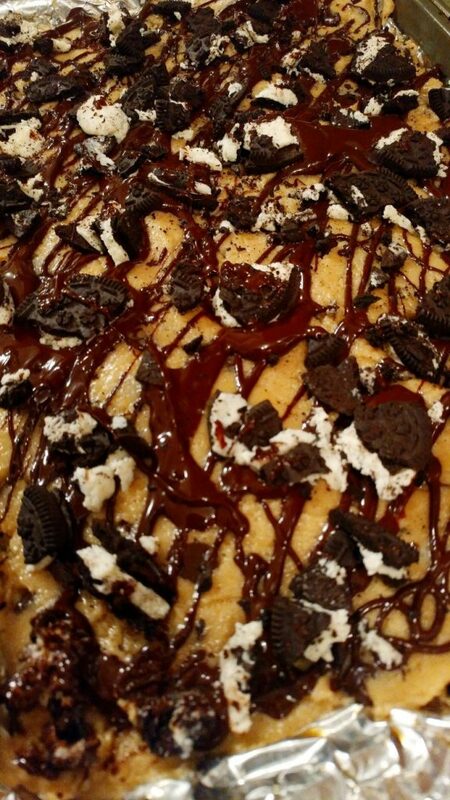 And more chocolate and oreos on top for good measure?! What’s not to love?! The cookie dough, brownies, and Joe Joe’s cookies! Are you vegan? Dairy-free? Great news, these are dairy-free and easily made vegan! WIN all around!! As-is below, the recipe is dairy-free. To make the bars completely vegan, simply substitute flax eggs in place of the eggs. Either way, the end result is thick, glorious, bars. For the oreos, I actually used Trader Joe’s Joe Joe’s cookies. They’re just like oreos, but they have a thicker creamy filing. I like them even more!! 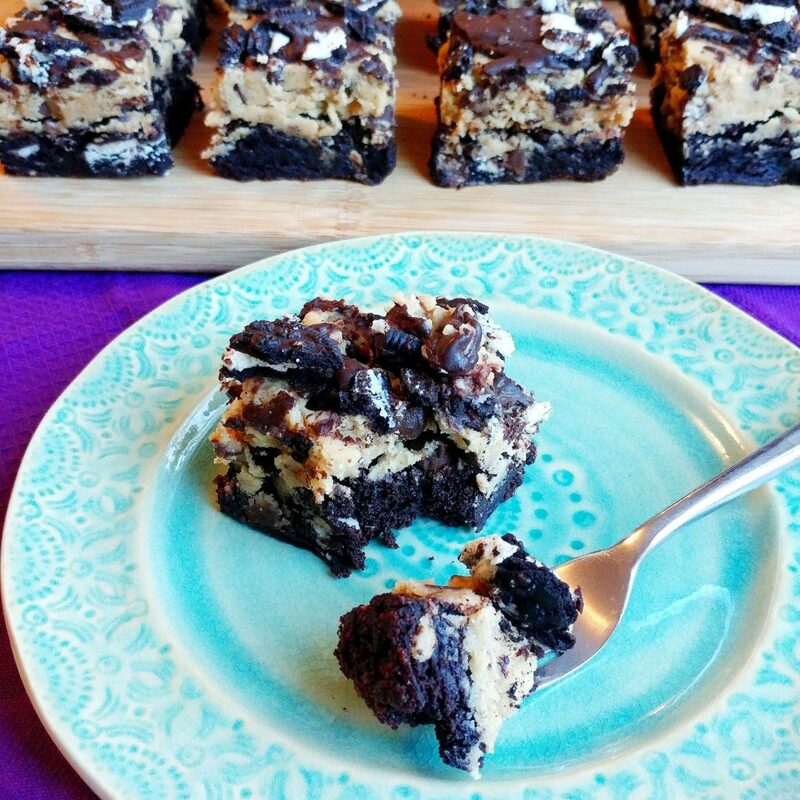 I am eating one of these now….let’s get baking so you can dig in too! 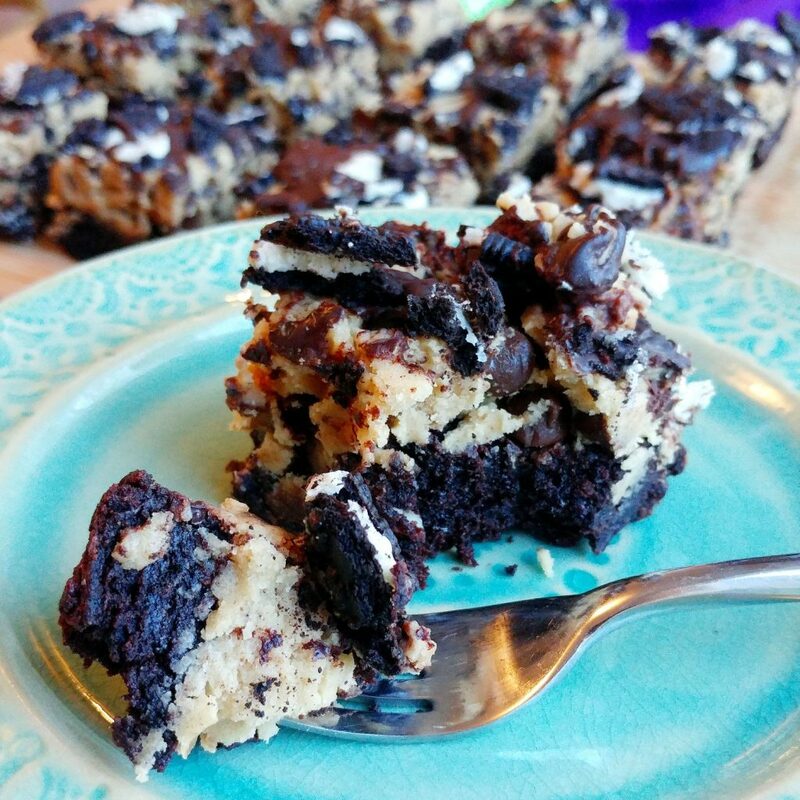 Cookie Dough Oreo Brownies Recipe! When you try this recipe, let me know!  Leave a comment here & tag @thefetchingfoodie on Instagram! I’d love to see & share! Preheat the oven to 350 degrees F. Line a 13×9 inch pan with foil. Spray it with non-stick spray and set it aside. First up, let’s make the brownies. In a large bowl, whisk together the oil, granulated sugar, and brown sugar. Add in the salt, vanilla extract, almond milk, and eggs. Whisk whisk whisk until everything is fully incorporated. Sift in the cocoa powder and instant espresso powder. Whisk again until you have a smooth chocolaty batter. Switch to a rubber spatula and fold in the flour and baking powder. You’ll end up with a thick, creamy deep dark chocolate batter. Fold in the crushed up Joe Joe’s and your brownie batter is complete! Spread the batter into your prepared 13×9 inch pan. Sprinkle a few pinches of Maldon sea salt on top (for the perfect sweet-salty combo). Bake the brownies in the oven for about 30 minutes, or until the edges just start to pull away from the sides of the pan. Cool the brownies in the pan on a wire cooling rack or hot pad. 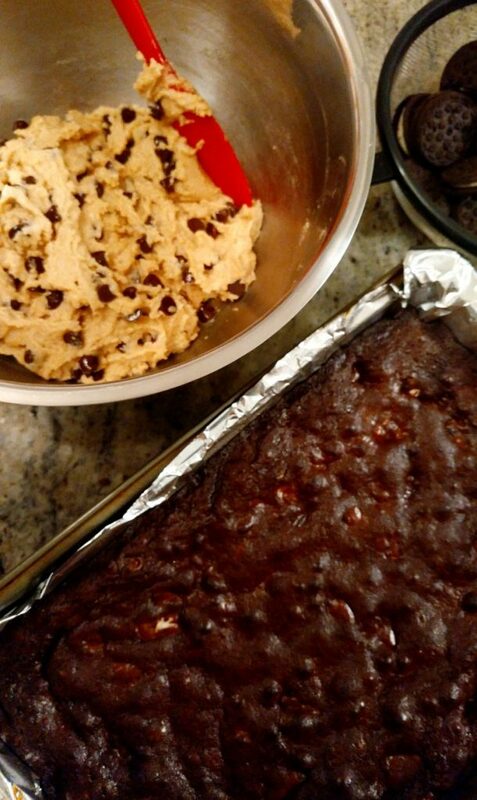 While the brownies are baking, make your cookie dough! Melt the 1 cup of vegan butter. In a large bowl, whisk together the melted vegan butter and the brown sugar. Add in the vanilla extract, salt, and almond milk. Whisk whisk whisk! Switch to a rubber spatula and fold in the flour. Fold in the chocolate chips. And presto, your cookie dough is done! Go ahead and taste it…it’s meant to be eaten raw! Once the brownies are cooled, spread on the cookie dough! I used the whole batch. You’ll have enough for a very generous cookie dough layer. For the topping, melt the dark chocolate in a bowl in the microwave for about 2 minutes, stirring every 30 seconds. Once the chocolate is melted, use a fork to drizzle it over the top of the bars. Final touch: Sprinkle on more Joe Joe’s cookie pieces! Voila!! Your big beautiful bars are ready to eat! 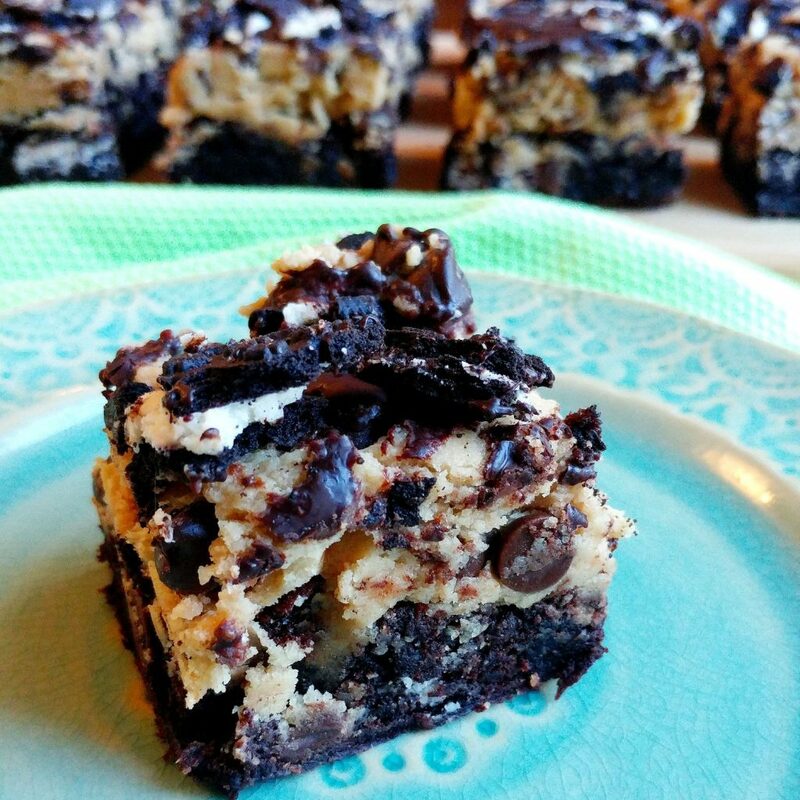 Cookie Dough Oreo Brownie Bars! Eat with a fork or your hands, whichever is more fun for you!! Store any leftover bars in an airtight container. They’re best the sooner they’re eaten, but will be good for about a week. Making these for a special occasion?! Shake some sprinkles on top, you have the perfect birthday bars! !